What? 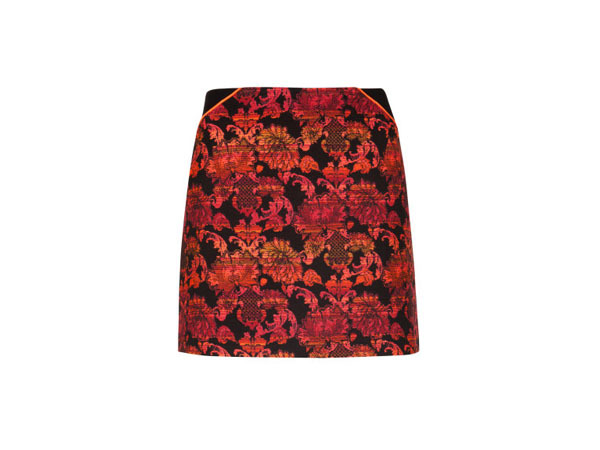 Jacquard is usually pretty reserved but we reckon the Crinann from Ted Baker is just that tiny bit racy. This mini skirt is designed to accentuate the waist with its inward curving lines. Plus, the multi-red toned colouring draws the eye in. Pair with a simple top and some heels. Priced at £99.